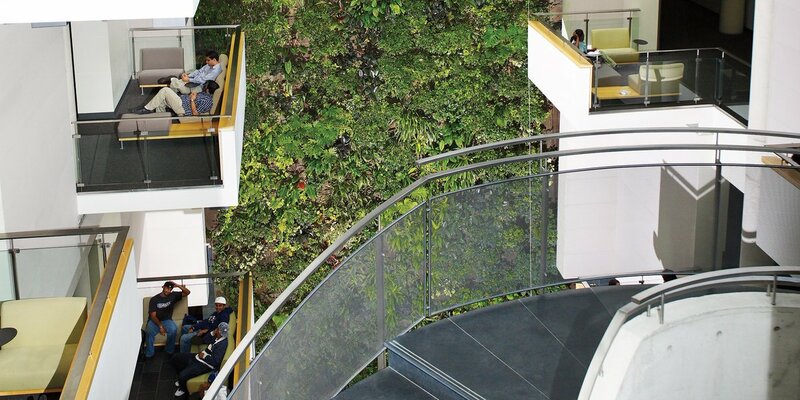 This incredible living wall biofilter is 6 storeys tall, 1,130 square feet, and features two sides – one facing the lobby and one facing an employee cafeteria. The massive wall is clearly the focal point of the clean, modern lobby at the Corus Quay building, which has direct views of Lake Ontario. This biofilter project won a Landscape Ontario Award of Excellence from the Horticultural Trades Association.